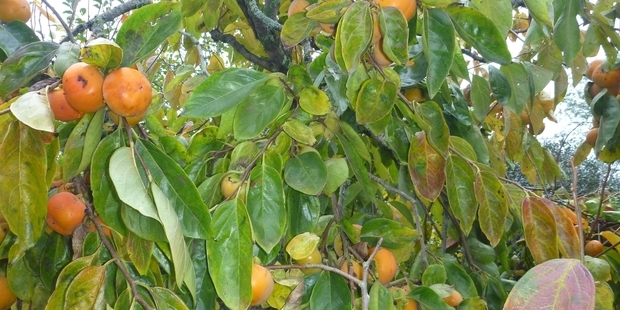 Volunteers are being sought to help save more than 20 tonnes of persimmons from rotting on a Matangi farm. Community Fruit Harvesting - in collaboration with Love Food Hate Waste - is coordinating The Great Persimmon Rescue this Sunday. The event is supported by Waikato Regional Council and Waipa District Council. The fruit will be distributed to foodbanks and other charities, and schools in the Waikato. Countdown will truck persimmons to Auckland for distribution to people in need. Volunteers who join The Great Persimmon Rescue won't walk away empty-handed either - they'll be able to take home some of the fruit they've picked, along with recipe ideas. People interested in helping to pick persimmons are urged to email Community Fruit Harvesting in Hamilton on [email protected] or visit www.facebook.com/PickFruitHamilton. Already community and church groups from as far away as Tokoroa have put up their hands to help out. Poor health means the owners of the persimmon farm were this year unable to harvest their fruit crop. The couple didn't want their fruit to go to waste, so asked the community for help and Hamilton's Community Fruit Harvesting team responded. Persimmons are an unusual fruit to receive in a food parcel and not everyone knows how to eat or cook with them, so Love Food Hate Waste has produced a recipe card with information on how to make the most of this exotic fruit. Love Food Hate Waste is a joint collaboration with 59 councils from around New Zealand, with the aim of reducing the amount of food households are sending to landfill each year. In New Zealand, households throw away 122,547 tonnes of food annually at a cost of $872 million - enough food to feed the population of Dunedin for two years. The average Kiwi family wastes more than three shopping trolleys of food, which they throw away each year uneaten.